The 3614 is a 5 meter long, 8 mm wide, flexible LED strip with adhesive backing which can be cut in multiples of 3-LED sections. 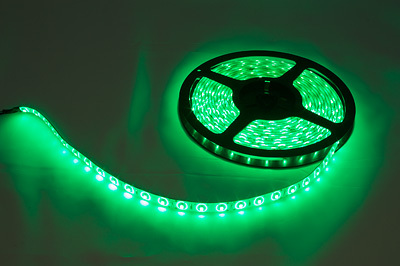 The strip contains 300 green LEDs with a light beam of 120°. The strip requires between 9 to 12 Volts DC and consumes 1.3A when running at 12V and 206mA when running at 9V. Caution: Running the strip at more than 12V can damage the LEDs. 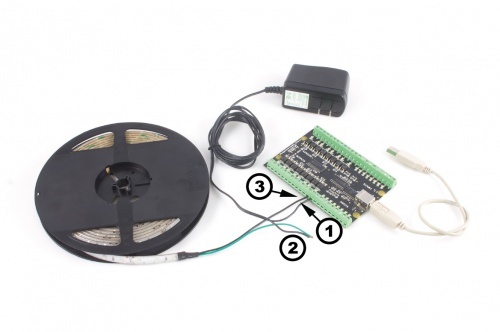 Comes in an Antistatic pouch containing one 5 meter LED strip. 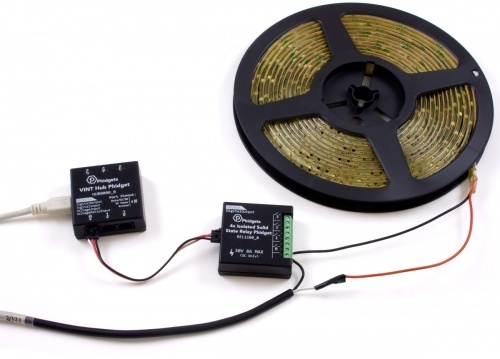 In order to turn this LED strip on and off, you can use a relay board. 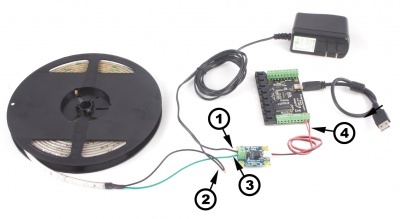 See the User Guide for examples of how to connect the power supply and the LED strip to the relay. You could also use an open-collector relay board, which is just a solid state relay that switches to ground instead of closing a circuit. 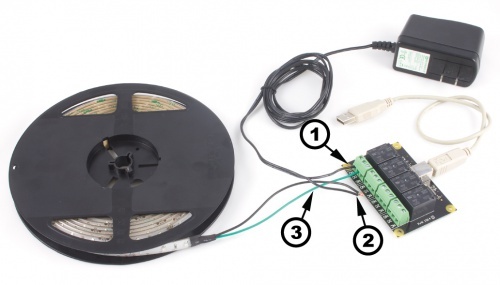 See the User Guide for examples of how to connect the power supply and the LED strip to the board. 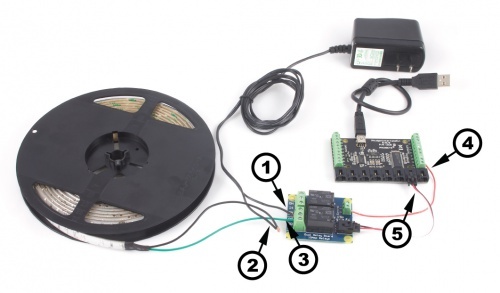 This strip requires a 12V power supply. 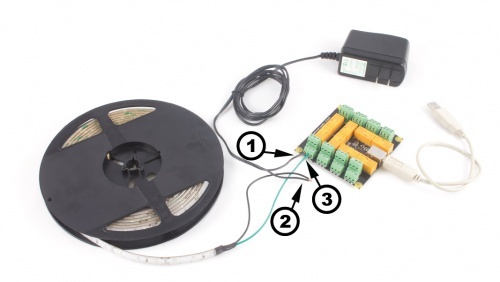 We recommend a 2A power supply to ensure that the LEDs have enough power. Select the power supply from the list below that matches your region's wall socket type.